University of Limpopo students joined Nsfas protests in solidarity with the University of Venda on Monday morning. According to a statement released by vice-chancellor and principal of University of Limpopo (UL) Professor Mahlo Mokgalong, the academic programme has been suspended on Tuesday and Wednesday. This is to allow management to discuss the concerns raised with the students representative council (SRC), reports Bosveld Review. 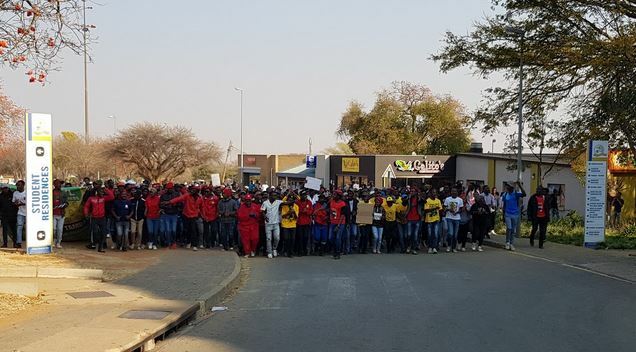 Classes at the campus were suspended after students shutdown the campus in solidarity with University of Venda (Univen) protest for National Student Financial Aid Scheme (Nsfas) funds release. According to reports, the SRC are demanding funds for transport and off-campus accommodation. Struggle continues at the University of Limpopo irrespective of VC communique released yesterday. “Management tenders its profuse apologies to all staff and students for the inconvenience caused,” Mokgalong said.